Unfortunately we cannot provide food to individuals. If you or your family need emergency food assistance, please contact any of the many local agencies in the area. For example: Goulburn Valley Community Care, Mooroopna Life Church/Op Shop, Salvo Care & Shepparton South Community Centre. 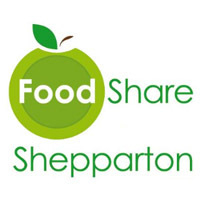 Shepparton Foodshare is located in Mooroopna. You can access Foodshare via Archer Street (off Young Street), Mooroopna. Turn into Young Street at Paul Wickham Pharmacy, follow this along then turn right into Archer Street and the Foodshare entry is ahead. Note if you get to the railway line at the end of Young Street you have gone too far. Please follow the link to view a map. We're on a mission to distribute food to local schools and emergency relief agencies, supporting those in need in the Goulburn Valley area. Since 2012 Shepparton Foodshare has been rescuing and receiving donations of fresh and nutritious food and redistributing it to those in need in the Goulburn Valley. It partners with supermarkets, business and other food rescue agencies across the state to provide nutritious food from every food group. Food is then collected by registered emergency relief agencies, churches and schools and distributed to those in need within the local community. The food rescued by, and donated to Foodshare, is at its ‘sell by’ or ‘best before’ date or may, for example have labelling errors. Depending on the type of food, it may remain fit for consumption for days to months after this date. By storing the food according to regulation guidelines, Foodshare is able to extend its shelf life to provide nutritious meals for local people and prevent edible food entering the waste stream. Through its rescue, sorting and redistribution operation, Foodshare is able to prevent around 300,000 kilograms of food from going into landfill as waste every year. An additional environmental benefit from our food sorting process is the separation of food and plastic packaging, with vegetable food waste provided as farm animal food, and plastic waste redirected from landfill into the recycling stream. Along with the positive impact of providing nutritious food to those that would otherwise go hungry, the social impact of Shepparton Foodshare also flows to the more than 20 volunteers whose combined work each week exceeds 100 hours. These volunteers benefit from and contribute to a sense of community resilience and connectedness, and have the opportunity to gain pre-employment and vocational skills. The community initiative is overseen by a skills based volunteer Board and operates from the back of the Geoffrey Thompson warehouse in Toolamba Rd, Mooroopna. Other not for profit agencies wishing to source food for distribution to the needy can register with Shepparton Foodshare by contacting the co-ordinator, Bec Nicoll on 0432 517 329 (Monday to Thursday mornings). Individuals and organisations with food to donate should also contact Bec. SPC has been committed to bringing premium packed fruit and vegetables to Australians for over 90 years. Making Sustainable Living common place. Unilever is a purpose-driven company. We aim to make sustainable living commonplace. Our aim is to provide healthy food for all. Foodbank Victoria is an independent not-for-profit organisation with more than 80 years’ food relief experience. We are the state’s oldest and largest organisation of our kind. Coles Mooroopna delivers brilliant service, quality and supports the community with a smile. Top Australian brands with 20-70% off normal retail prices. Help us ensure no one goes hungry in our region. The Albury Wodonga Regional FoodShare is a collaborative service that addresses food insecurity among people experiencing hardship in our region. We collect food that would otherwise go to waste. We are a Not-for-Profit organisation, governed by a local Board and staffed by volunteers. sheppnews.com.au is the leading provider of news and information in the Goulburn Valley and is the digital extension of the successful Shepparton News published six days a week by the McPherson Media Group. A network of journalists, photographers, editors and contributors cover stories about the issues affecting the region and the people who make it great place to live, including breaking news, detailed analysis and opinion. Helen Macpherson Smith Trust is an independent philanthropic trust established by Helen Macpherson Schutt (née Smith) in 1951. On her passing in 1951, Helen left £275,000, the majority of her wealth, to establish a perpetual philanthropic trust to benefit Victorian charitable institutions. Launched as the Helen M. Schutt Trust, the name was changed to the Helen Macpherson Smith Trust in 2001 to acknowledge the Macpherson and Smith families as the prime source of her legacy. Since HMST was established, $113 million has been approved in grants to a wide range of Victorian charitable institutions and a diverse range of projects benefiting Victorians every year. Greater Shepparton City Council has provided $50,000 to Shepparton Foodshare since 2017. The Fairley Foundation has provided financial support to Shepparton Foodshare via it's annual grant program. Greater Shepparton Connected Community has provided financial support to Shepparton Foodshare via it's annual grant program. We wish to acknowledge the following monthly partners and thank them for their support. The partner of the month generously donates an amount of money to ensure the viability of Shepparton Foodshare for that month. If you wish to become a Monthly Partner please contact Shepparton Foodshare. Local couple Simon and Margie Sneyd are the Shepparton Foodshare Monthly Partner for April. Simon, a local GP, knows the importance of good nutrition for health and wellbeing and therefore he and Margie are wonderful supporters of our service that helps to restore health, hope and dignity to people in need. Without them we could not survive. Below are some of the jobs our volunteers do. If you would like to be involved, please do not hesitate to get in touch! Collect and rescue food from our 8 local supermarkets. Pick up donated food from various donors in the Goulburn Valley. Unload rescued food at Shepparton Foodshare. Maintain the appearance of the pickup van. E.g. cleaning both inside and out regularly. Keep records of food pickups. Maintain log of mileage travelled. Reporting of any damage to vehicle. Help Retrieve rescued food from the Shepparton Foodshare delivery van. Sort fresh produce into categories of product. Discard non suitable food to waste stream. Pack dry goods onto pallets and then into shelving. Where appropriately authorised, use and maintain walkie stacker. Provide assistance to agencies in collection of food requirements. Help to pack food into trolleys and repack into agencies vehicles. Checking and removing any out of date goods to the waste stream. If you are able to donate, Paypal will provide you with a receipt of your donation for tax purposes through email. Photos of our generous donors. for volunteering her time to take photos for our website.